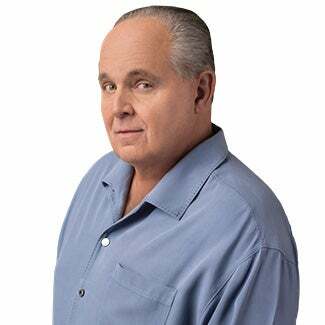 RUSH: No, I’m trying to fight being a little depressed. It’s stupid; it’s silly. But I can’t… (interruption) What? (interruption) No. I’m too embarrassed to even admit what… (interruption) Yes, it does, and if I start admitting that, do you realize I run the risk of sounding like Jim Acosta? I do, in terms of being out of touch. (interruption) Well, it’s just a couple of days behind schedule, but there is no schedule. It’s different every year. But now I’m waiting on a beta software upgrade because I’ve got… (interruption) No, I’m… (interruption) Well, I’m getting close to haranguing somebody for it because I’ve got a major flaw here. I don’t want to get into it. Folks, if I get into this it’s just gonna be a distraction. You’re gonna think, “If this is all you’ve got to complain about, you need to get real.” I understand that. So, see, I’m not like other people. I can’t complain about the things that bother me, because I’m not allowed to complain, A. And if I then complain about the things that bother me, “You’re really out of touch. If that’s all that’s bothering you, then you’ve got a serious problem.” I know that’s what people would say, and it’s not the only thing bothering me; it’s just one of the few things I can’t do on my own. Any other problem I can probably fix it or address it on my own, but this I’m totally dependent on other people’s schedules.